It looks like DR Horton is preparing another site for more new homes in Venice FL. According to Sarasota County tax records, vacant land being cleared and prepped at the entrance to Ventura Village off Hwy 76 in Venice belongs to DR Horton. When re-zoned for residential use, the two vacant lots consisting of a total of 36 acres could support 80-100 new homes. 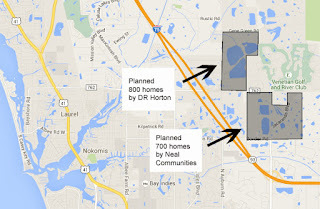 This is similar to DR Horton's new home community of Calusa Park off Laurel Rd. in Nokomis. 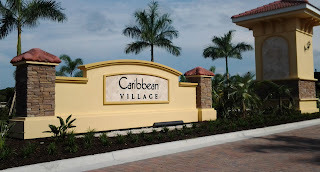 For the latest Venice FL new home information subscribe to this blog or contact me at david@davidbarrhomes.com.